Pratapgarh or Bela is one of the oldest cities of Uttar Pradesh. 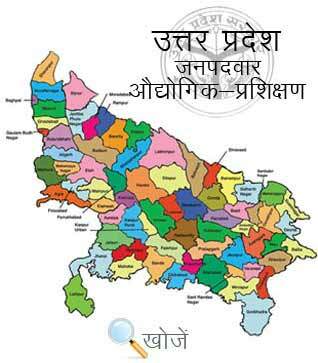 It is a part of Allahabad Division. Many religious places are situated in it like Baba Kachnarveer Dham (around 500 years old an ancient Shiv Temple), Belha Devi Temple, Chamunda Devi Mandir, Surya Mandir etc. Apart from this, the city boasts some very good and reputed Education centers, Colleges, Training centers, Polytechnics, ITI’s etc. for the students. Industrial Training Institutes (ITI’s) are post-secondary Schools in India to train students technically and professionally. They offer more than 130 skill development courses. After completion of ITI, Tradesman can get Apprenticeship Training. The scheme is implemented by DGT, Under Ministry of Skill Development and Entrepreneurship. Minimum age requirement is 14 years for 6 months to 2 years’ time duration courses. Admission Procedure for the various courses is done every year in August. In Modern time, skills are very important for every industry. The city has 4 Government ITI’s and 18 Private ITI’s to give skilled manpower to the country. Vyavasayik Pareeksha Parishad (www.vppup.in) in the state of Uttar Pradesh conducts the entrance examinations for admission in ITI’s. Apart from this www.upiti.in is another educational portal for students to help them to get enrolled in various courses in ITI’s, examination dates, consulting dates, online admit cards, online downloading f application form etc.